Your business is unique and so are your lending needs. At Summit State Bank, we take the time to get to know our customers and find solutions specific to your business needs. 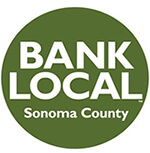 Our team of lending experts have a diverse working knowledge of lending within Sonoma County. Working with someone who knows the community is certainly a plus, but working with and having access to local decision makers is a winning combination. Sonoma County's boundaries include nine distinctive cities and diverse economies consisting of world class wine regions, tourist destinations with parks and beaches and rural and agricultural landscapes. Contact us at (707) 568-6000 today to learn how we can assist you!